To compare the physical growth outcomes, morbidity profile and mortality at an age of 12 months among late preterm (340/7 to 366/7) neonates to term (370/7 to 416/7) neonates. A tertiary care center of Northern India during 2014-2015. 200 apparently healthy late preterms and term infants, followed up to 12 months of age. Physical growth parameters, morbidity profile and mortality. At mean age of 12 months, mean (SD) weight, length and head circumference of late preterms were 7.4 (0.8) kg, 69.2 (2.5) cm and 43.0 (1.1) cm, respectively; which were significantly lower than that of the full term infants [8.7 (1.6) kg, 72.2 (3.1) cm and 44.2 (1.1) cm] (P < 0.001). On univariate analysis, late preterm group was associated with higher odds (95% CI) of being underweight [5.6 (3.4, 5.5)], stunted [3.5 (2.1, 5.8)] and wasted [3.6 (1.9, 6.9)]. On multivariate analysis, only adjusted odds of late preterms becoming underweight by one year was significant [OR 4.1; 95% CI (1.6, 10.4)]. Feeding difficulties, jaundice and re-hospitalization rates were significantly higher in the late preterm group. 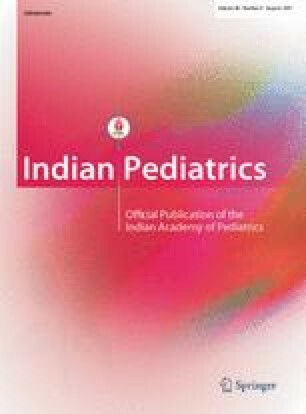 The median (IQR) episodes per baby for late preterms as compared to terms for diarrhea [1.84 (0,3) vs 1.14 (0,2) (P <0.001)], and fever [1.33 (0,2) vs. 0.95 (0,2) (P = 0.01)] were higher. Healthy late preterms are at significantly higher risk of being underweight in the first year of life, in addition to having significantly higher morbidity.